Free Estimates! Contact Andy’s Plumbing today! Looking For a Reliable Plumbing Company in the McAllen area? With Andy’s Plumbing, you’ll have upfront pricing, friendly and knowledgeable plumbing contractors who arrive at your door on time, in uniform, and work carefully and efficiently on your home’s plumbing so you can get back to your routine with the least amount of disruption possible. Your 100% satisfaction is our dedication and commitment to getting the job done right the first time. Andy’s Plumbing is here to serve the following cities: McAllen, Mission, Edinburg, Pharr, Sharyland, Palm View, Weslaco, Donna, Alamo and the rest of the Rio Grande Valley. Andy’s Plumbing residential division offers professional plumbing, drain and sewer services. If you are experiencing any plumbing issues at your home give us a call today. If you’re building a new home, remodeling or just installing a new sink or garbage disposal, call us today. Andy’s Plumbing commercial division offers commercial plumbing services for local businesses, hotels, restaurants, and office buildings. We offer emergency services for all commercial accounts. I strongly recommend you use Andy’s plumbing. 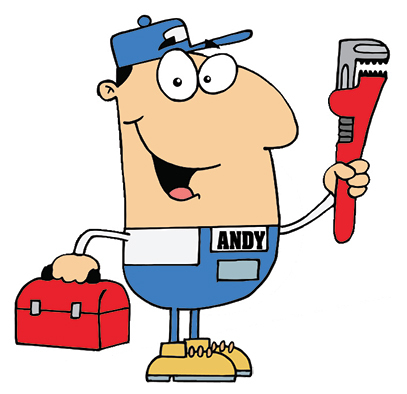 Andy was very helpful and got our plumbing issue fixed on a timely manner. Thank you Andy for fixing the broken pipe at our office. We will recommend you to all our friends and family. Residential or Commercial Plumbing Needs? Experienced & Reliable Plumber. Call today for a free estimate! Valley Wide Service Call Now! Free Estimates - Emergency Services Available!